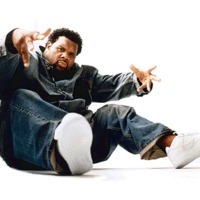 Isaac Freeman III, better known by his stage name Fatman Scoop is a hip hop promoter and radio personality famed for his on-stage rough, raw, loud voice. He is known for the track "Be Faithful" which went to number one in the UK and Ireland in late 2003 and top 5 in Australia. The song has been a favorite in clubs around the world for years but it took two years to clear the samples from Jay-Z, Black Sheep, Queen Pen, The Beatnuts and Faith Evans.